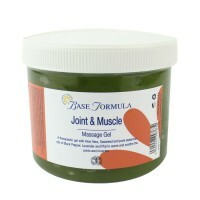 A therapeutic massage oil to soothe the muscles and joints. With Sweet Almond Oil, Vitamin E and pure essential oils of Clary Sage, Sweet Marjoram, French Lavender and Rosemary. This soothing, ready to use aromatherapy massage oil contains pure essential oils especially chosen for their beneficial effect on the joints and muscles. 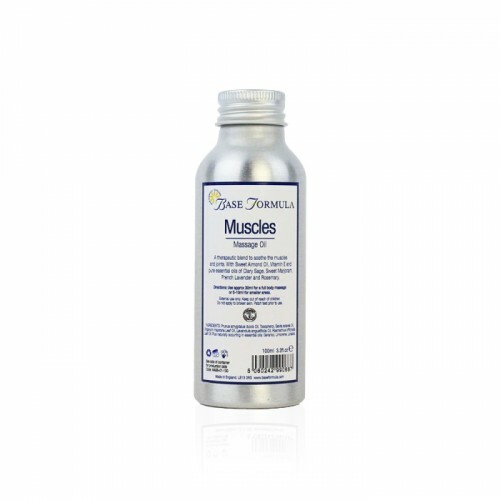 It has a wonderful herbal fragrance, with Clary Sage, Marjoram, Lavender and Rosemary essential oils blended into a skin nurturing base of Sweet Almond and Vitamin E. It is ideal for toning and warming muscles prior to exercise and for relieving aches, pains and stiffness after sports or other strenuous activity. Sweet Almond Oil is rich in minerals, vitamins, proteins and essential fatty acids, helping to soften, nourish and revitalise the skin. Clary Sage has a soothing, relaxing and warming effect on the mind and body. It is a powerful muscle relaxant and can help to ease muscular spasms, tension and pain. It is one of the most effective oils for treating menstrual cramps. It also has a euphoric, antidepressant effect and a calming, sedating influence on the nerves and emotions. Sweet Marjoram is a warming, comforting oil that helps with pain on both a physical and emotional level. It is particularly useful for relaxing tight, stiff muscles and for easing rheumatic pain. It can also be helpful for menstrual cramps. Lavender essential oil is soothing, calming and relaxing. Its pain relieving properties are commonly used to help treat headaches and muscular aches and pains. It is also extremely beneficial for the skin and for treating stress, anxiety, depression, nervous tension and insomnia. Rosemary essential oil is reviving, strengthening and refreshing. 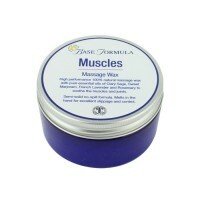 It is excellent for relieving fatigue and for relaxing tight, over-worked muscles. Safety advice: Do not use this massage oil during pregnancy.